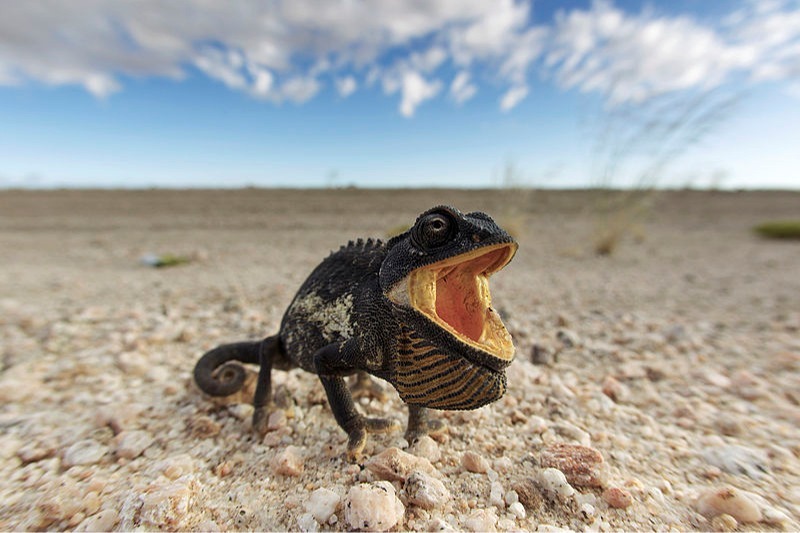 Namaqua chameleon in threat display, Namib desert. CLICK HERE to turn this photo into a jigsaw puzzle. Close the puzzle window when you're done to return to this page.